Press and hold the talk button to activate Siri Eyes Free. 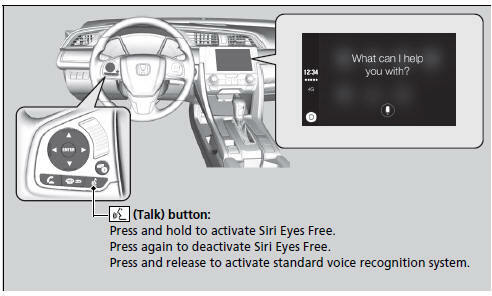 Below are examples of questions and commands for Siri Eyes Free. Find a table for four tonight in Chicago.